It’s been something like six years since I’ve visited Wilmington, N.C. so I was happy to be coming back to the city for a recent press trip hosted by Wilmington.c. River District & Island Beaches. My earlier visit had been purely as a tourist and I had appreciated Port City, as Wilmington has traditionally been nicknamed, for its appealing location along the Cape Fear River, it’s proximity to three appealing beaches on Harbor Island and Pleasure Island, its wonderful 230-block National Register Historic District, and its charming historic downtown. Writing the various North Carolina city guides and the state’s Event Planners Guide for many years as I have, I was aware of Wilmington’s developing Convention District, now more generally included in the city’s burgeoning River District, but driving into the area from the airport I was nevertheless impressed by the new riverside landscape. Not long ago there really wasn’t much on the riverfront near the Wilmington Convention Center. Now the new 9-foor Embassy Suites by Hilton Wilmington Riverfront rises handsomely adjacent to the convention center; Port City Marina sits just north, with two new restaurants sitting beside it; The Shell, a new open-air concert and event space (which can be enclosed for privacy), is right on the water; and the Riverwalk has been extended up to the marina area. My Embassy Suites digs – a small suite – were elegant and comfortable with a grand Cape Fear River view. After relaxing a bit, I went up to the The Terrace on the hotel’s 9th floor for the Meet and Greet Welcome Reception. After a bit of helloing and congenial conversation, the group was escorted over to the Wilmington Convention Center where we enjoyed a fine meal prepared by SAVOR…Wilmington Catering by SMG, the Center’s official catering operation. The opening evening convention center event gave group members the chance not only to get a first glance at the facility and sample the great food served up there, but also to hear about all the exciting developments going on in Wilmington from CVB staff members and also from Chuck Schoninger, Founder of real estate investment outfit USAInvestCo. Schoninger and his company are the prime catalysts for the remarkable transformation underway at the Northern Riverfront in Wilmington. USAInvestCo opened Port City Marina just a few years ago on 10 acres of water with 84 permanent slips. Now, there are also two restaurants on the site, a hotel going up adjacent to the marina, and plans for offering one-, two- and three-bedroom houseboat homes on the water. 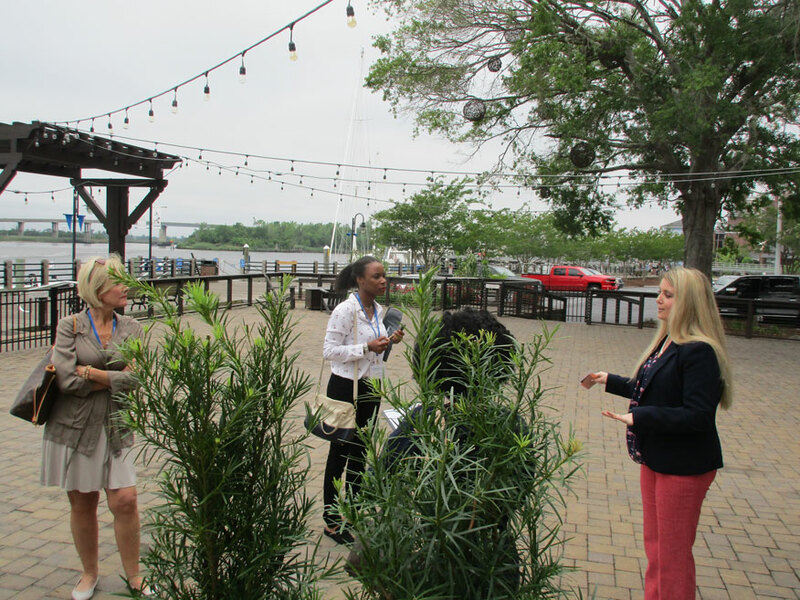 The investment firm’s projects include the Marina Grill, a by-the-water restaurant offering steaks, ribs, seafood, salads and outstanding appetizers where the group enjoyed some tasty appetizers and drink the following day. Marina Grill has a strong commitment to local and regional sourcing for its foodstuff and offers a nice selection of wines and beers. We also visited Marker 14, the adjacent eatery, also a USAInvestCo project, that was soon to open and will feature a two-floor layout and 3,000 square feet of outdoor dining space to complement the larger indoor space. It also has the distinction of sitting right by the Riverwalk and The Shell music and event space. Both restaurants wisely have lots of glass for engaging river views. 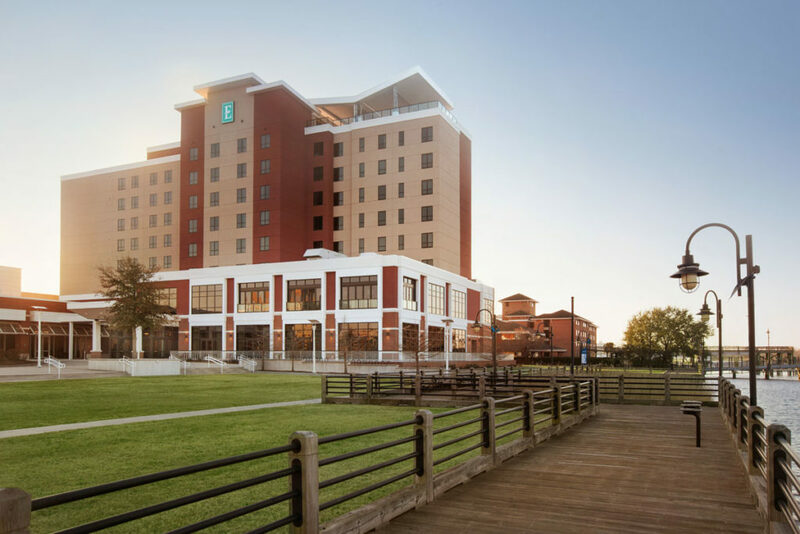 Another aspect of USAInvestCo’s commitment to Wilmington is a new 136-room, 7-story Hotel Indigo being built diagonally across from the Wilmington Convention Center and adjacent to the marina. About 35,000 square feet of the property will be dedicated to retail operations, including dining. 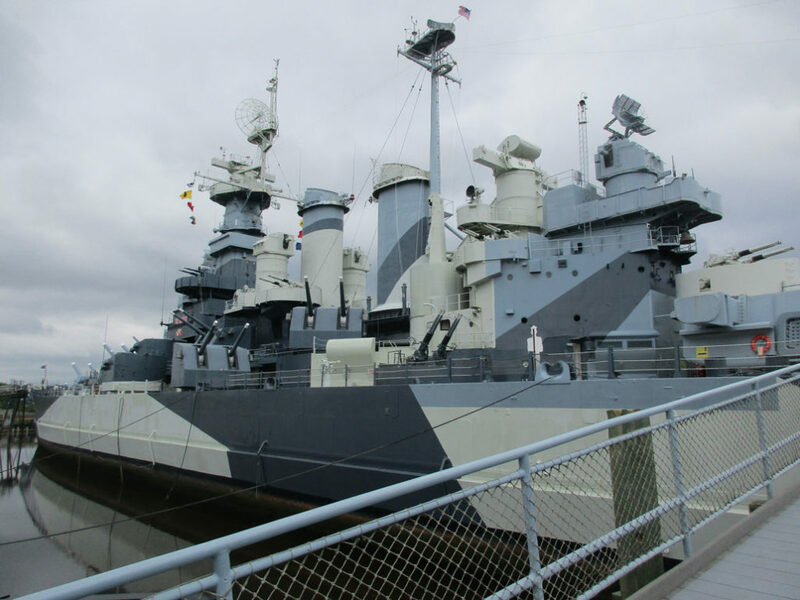 Over the next couple of days our group toured the renewed Hotel Ballast, Tapestry Collection by Hilton, just a short walk downriver from the convention center, the Embassy Suites where I was staying, and the Battleship NORTH CAROLINA. The Embassy Suites by Hilton Wilmington Riverfront proved to be a quite comfortable and impressive lodging altogether. The 186 suites are homey, with big comfortable beds, a couch and table in the living room space, as well as a good-sized desk with an ergonomic chair. The suites feature a min-fridge, microwave, coffeemaker, and large flat-screen TVs in the living area and bedroom. You’ll find a large walk-in shower with ample water flow in the bathroom. The hotel offers free made-to-order breakfast. The Embassy Suites has seven meeting rooms including a nearly 3,000-square-foot ballroom, divisible into three sections and with a sizable pre-function area right outside its doors. A smaller meeting room and an executive boardroom is upstairs on the second floor. The spaces are new, nicely appointed and have good tech capacities. The property’s Cloud 9 rooftop deck and bar is a thrilling spot with exceptional views of the river and marina. Hotel Ballast is a larger, if a bit shorter, property, with 272 guest rooms and 20,000 square feet of meeting space dispersed on three floors. I got a pleasant surprise when first coming into Hotel Ballast’s lobby. As a Savannahian, I’m well acquainted with the Savannah College of Art & Design, commonly referred to as SCAD. But I hadn’t expected to spot “SCAD” on a plaque on a lobby wall. Investigating, I found out that there is a partnership with the Sotherly chain and SCAD to feature the work of its talented faculty, students and alumni in all of the Sotherly properties. I’d seen SCAD art on the walls of the DeSoto Savannah hotel, a Sotherly property as of last year, but didn’t realize the arrangement was chain-wide. The walls of Hotel Ballast were covered with an impressive array of SCAD art. Hotel Ballast’s meeting space is considerable – 17 flexible meeting/event spaces. The ground-floor Grand Ballroom can handle 1,000 for a reception, 750 theater-style and 500 for a banquet and there is a spacious concourse, as well. The hotel’s lobby level has a ballroom about three-quarters the size of the one below and an additional meeting room. The 3rd floor offers eight smaller rooms, including a hospitality room and executive boardroom. There is also considerable space out on the riverside patio by the pool that could offer additional casual event space. Hotel Ballast’s guest rooms feature hardwood floors, marble baths, big, comfy beds and come in various sizes and configurations, including suites. The hotel offers a Ruth’s Chris Steak House, the new, more casual Board & Barrel eatery downstairs, and a little coffee and quick-food station in the lobby. 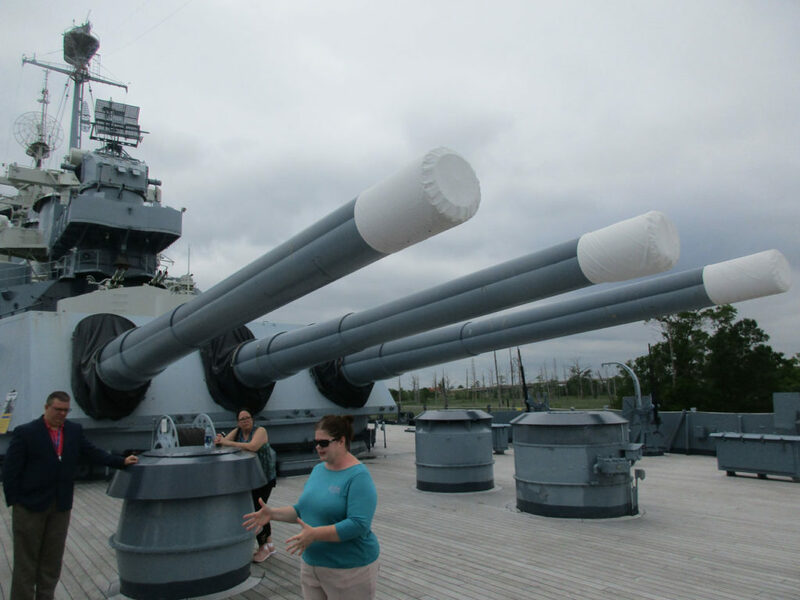 The Battleship NORTH CAROLINA is a World War II ship that served the nation well during the conflict. It is anchored on the Cape Fear River across from Hotel Ballast and provide either an engaging outing for convention attendees or as space for an event. The ship has a total of about 6,700 square feet of meeting space, much of it on its massive deck. 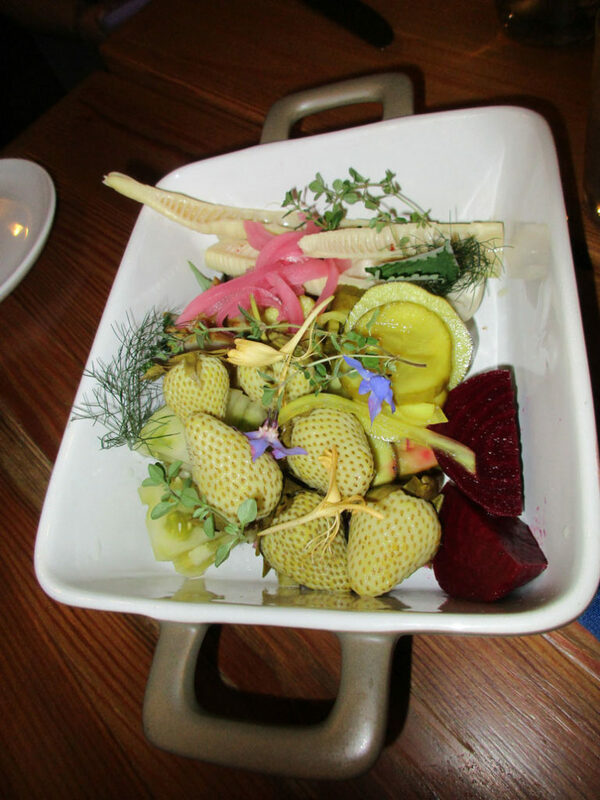 Wilmington offers some very good restaurants. 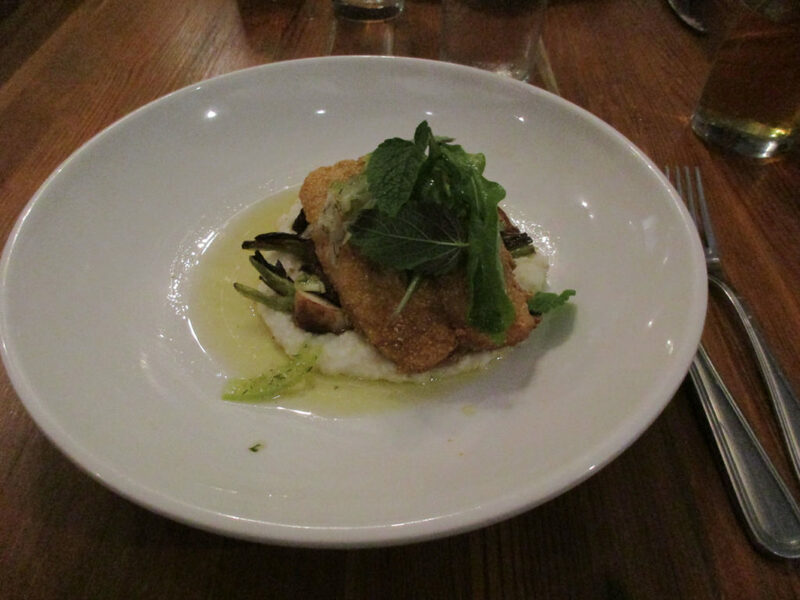 One that’s gained considerable attention is PinPoint Restaurant on Market Street downtown that’s been recognized by Southern Living magazine as one of the “Best New Restaurants in the South.” Our group was treated to a feast there on our last night in Wilmington. I also managed to quaff some excellent local brews while in Wilmington. It should be noted that the city now has a dozen craft breweries, most of them downtown near the river but several in the midtown area. There is now an official Wilmington Ale Trail that’s definitely worth investigating for beer lovers. My entire stay in Wilmington was a pleasure – good company, good food, good drink and a city with a lot to offer meeting planners. I left the next day satisfied and intent on keeping an eye on this historic city that is undergoing an extraordinary 21st century transformation.